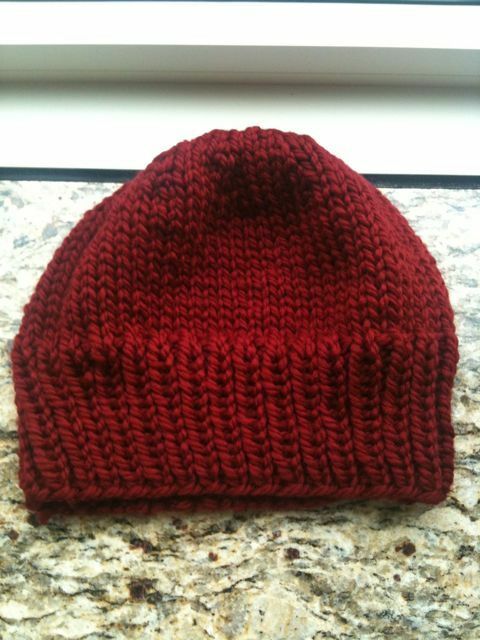 Nice hat, and thanks for the compliments on the knitting! Knitting comes very easy to me…sewing, not so much!!! I am having a terrible sewing day too. First, I thought I sewed in the zipper on B5147 backwards and ripped it out, only to realize it was in correctly. Next I was working on doing the long continuous seam to sew the lining and dress together, and what did I realize after sewing one of these (long) side seams? That the lining at the neckline was twisted up. UGH. I am currently ripping out all the stitches (which I did at a 2.0 stitch length for the lining and left it on for the outer fabric) while trying not to scream. I know if I put it down and don’t rip it out right now and redo it, I’ll end up throwing the whole thing out.